Loft apartment 70 meters with different spaces and fabulous views. It is a totally modern and open-plan apartment where it has been remodeled giving it a Nordic-type design predominating white and with a large window towards the forest, close to the Royal Palace and the Casa de Campo, cozy and different where the sensations that it produces surprise with a modern kitchen conjugating with the structural elements of the house. Two modern and bright bathrooms with predominance of glass. Very close to Principe Pio, means of transport, buses, metro, renfe. 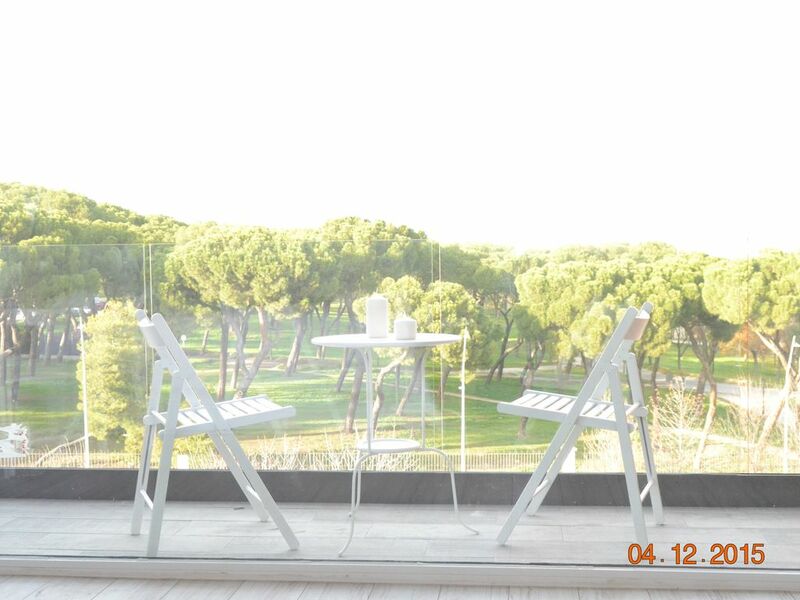 Quiet and ideal for families and couples, totally free parking area. We very much enjoyed staying here. The location is excellent. It is across the street from Casa de Campo, which is a beautiful park with lots of trails for running, biking, and exploring. It is also very close to the Puerta del Angel metro station (and not that far from the Lago station). It is by the River, which is peaceful and with an excellent view of central city. The neighborhood has many wonderful places to eat and shop (along the Paseo de Extremadura), and walking into the central city is quite a nice walk (or you can take the metro). The apartment itself is as it is described. A very open layout. This made the apartment very bright and airy. While it was very hot in Madrid the summer we spent there, the apartment was nice and cool, either from the well-functioning A/C or the lovely breeze. We are a family of four, and the apartment worked well for us. My youngest slept in the loft (Im not sure an adult could sleep up there). The apartment was very quiet. Disfrutamos mucho quedándonos aquí. La ubicación es excelente. Está al otro lado de la calle de Casa de Campo, que es un hermoso parque con muchos senderos para correr, andar en bicicleta y explorar. También está muy cerca de la estación de metro Puerta del Ángel (y no muy lejos de la estación de Lago). Está junto al río, que es tranquilo y con una excelente vista de la ciudad central. El barrio tiene muchos lugares maravillosos para comer y comprar (a lo largo del Paseo de Extremadura), y caminar hacia la ciudad central es un paseo bastante agradable (o puedes tomar el metro). El departamento en sí es como se describe. Un diseño muy abierto. Esto hizo que el apartamento fuera muy luminoso y aireado. Mientras que hacía mucho calor en Madrid el verano que pasamos allí, el apartamento era agradable y fresco, ya sea desde el aire acondicionado que funciona bien o la brisa encantadora. Somos una familia de cuatro y el apartamento funcionó bien para nosotros. Mi hijo menor durmió en el desván (no estoy seguro de que un adulto pueda dormir allí). El departamento estaba muy tranquilo. The apartment is so near a fabulous park with tennis facilities, easy walking into the city but also public transport nearby to all areas. Local shops. It's a modern open plan loft apartment as described but not really suitable for 6 people. The 2nd double bed is situated on a 'loft shelf' with difficult access and certainly not suitable for our party. Beds were very comfortable. Sehr modern, komfortabel, nahe des Stadtzentrums und ein fantastischer Blick. Toll renoviertes Apartment allerdings ohne Zwischenwände, daher eher etwas für Familie oder gute Freunde. Sehr komplette Ausstattung, es fehlt nichts. Bequeme Betten und fantastischer Blick Richtung Moncloa und Casa di Campo. Wenig Verkehrsgeräusche. Das würden wir immer gerne wieder mieten! The apartment is located at the entrance of Madrid's largest park with topic centers, pond, amusement park and zoo within the park. Large pedestrian and open along the river and the Royal Palace areas. Many restaurants close view of Austria Madrid and Spanish cuisine. Walk you can reach the historic center of Madrid in 12 minutes, the football stadium of Atletico Madrid and media as metro, train and buses very close. Cirque du Soleil and other circus where you can see from the terrace of the apartment. Trade fairs and generally to reach all the venues range of activities and possibilities of the city of Madrid in its central zone while dominated by large open spaces and pedestrian areas recently incorporated into the city.